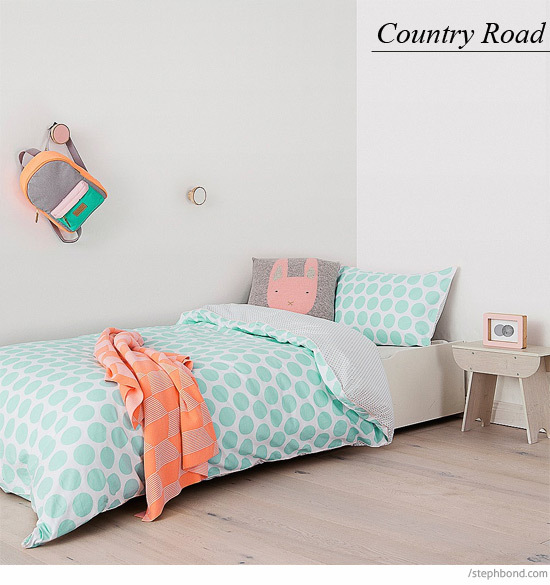 Country Road has nailed the Scandi-meets-the-beach aesthetic that is so very Australian. 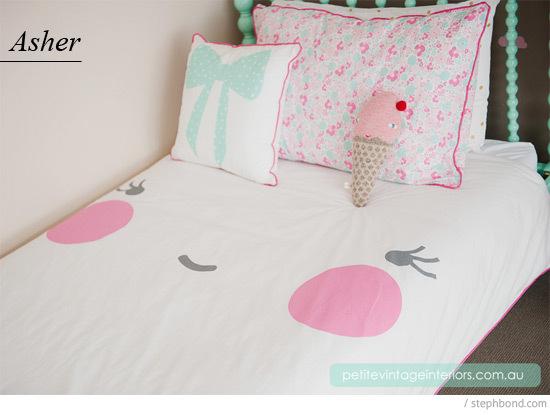 I love this mint polka dot reversible doona cover with mix and match accessories. Interior Designer Bel from Petite Vintage Interiors collaborated with illustrator Laura Blythman on this impossibly cute reversible Asher bed linen, available in only limited quantities and made in Australia. 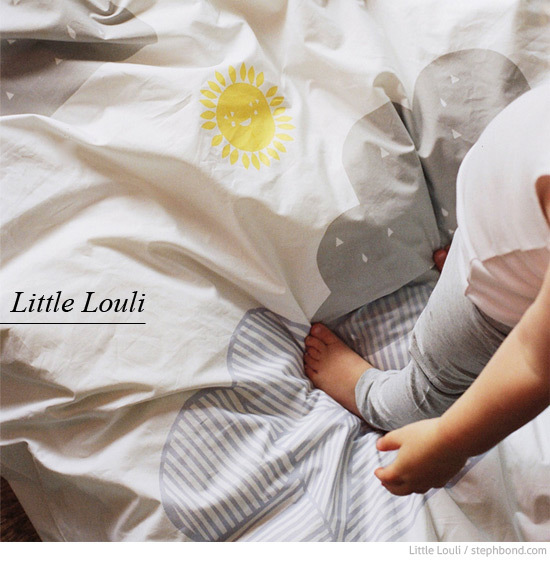 Little Louli make beautiful hand-printed children's bed linen hand screen-printed with water-based ink. Made in Australia. 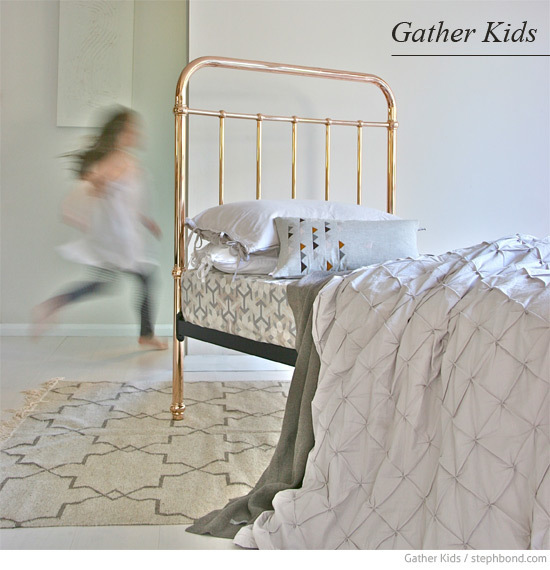 Talo Interiors has recently launched gorgeous kids' bed linen for both boys and girls. 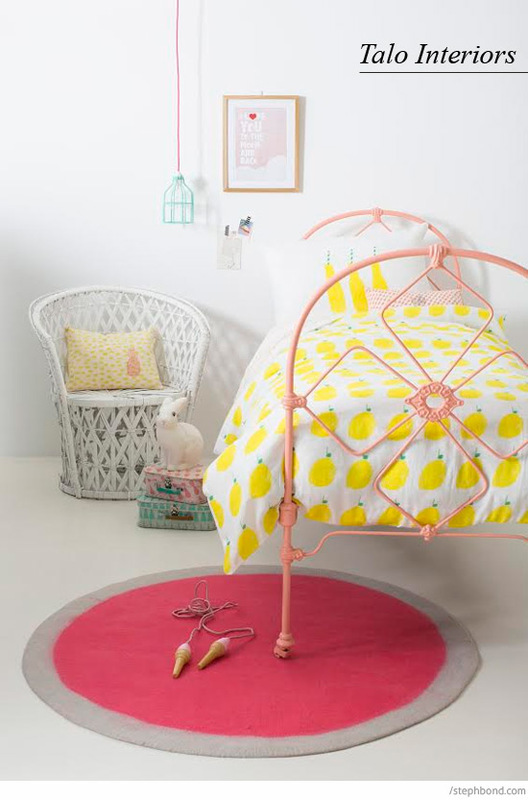 This 100% linen lemon doona cover and lemonade pillow case were designed in collaboration with Melbourne artist Pip Compton. Love the fresh sunshine-y yellow. Sack Me! 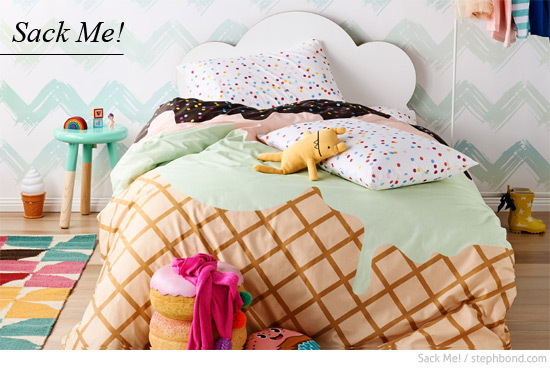 have burst onto the scene with fun designs for kids; this limited edition Sunday Sundae ice cream doona cover with sprinkles fitted sheet and pillow cases is the hit of the season. Hunting for George now makes bed linen for single beds! Pure chemical-free cotton, lovely, fresh colours, clean lines, and minimalist designs. 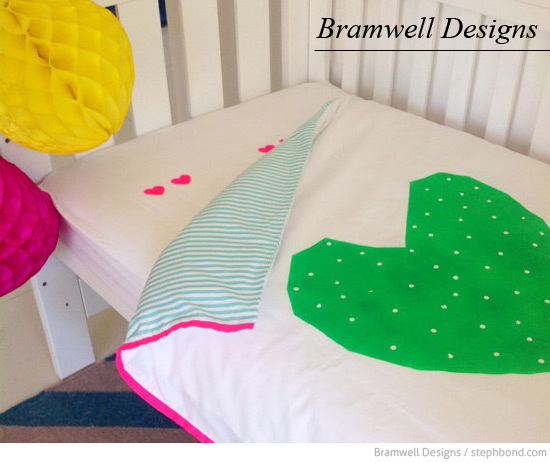 I've loving watching Bramwell Designs as it quickly grows in popularity. Look for pops of fun brights on white. 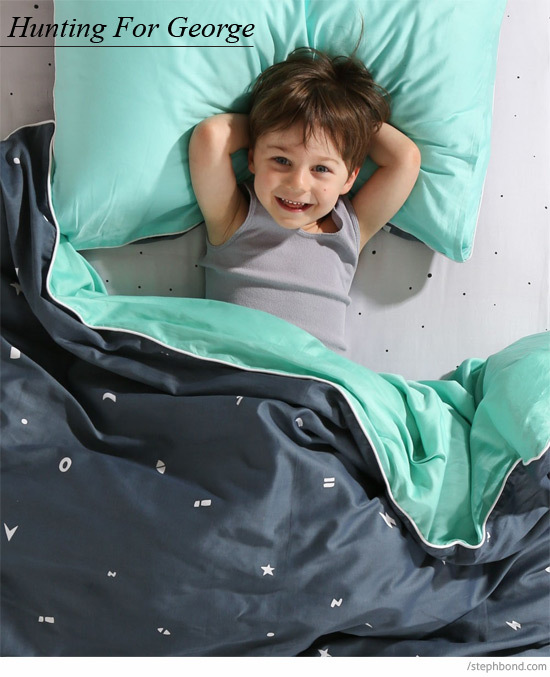 And I'm all about that reversible doona with aqua stripe backing. Delish. 100% organic cotton, handmade and handprinted on the Sunshine Coast! Lilly & Lolly are a classic Australian furniture and bed linen brand creating luxurious pieces for kids; this reversible linen and cotton doona cover features a pretty doily print that pairs beautifully with the confetti sheet set. So charming. Oh I could have one of everything from the Home-work range. 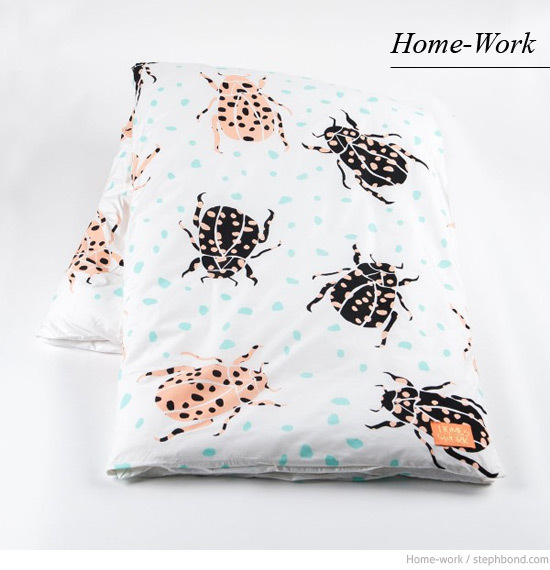 The Dynasty single doona cover in pebbles design is already on my wishlist, but I love these cheeky scarab beetles too. Designed, printed and manufactured in Melbourne. How good is that. 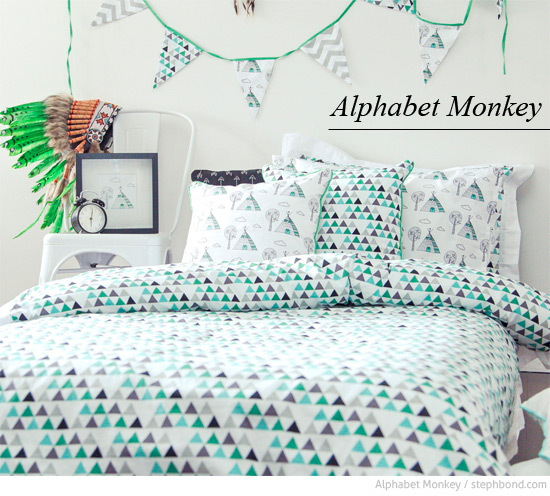 Alphabet Monkey makes bed linen and children's interiors products for boys; but I know plenty of girls that would love their designs too! This geometric + teepee designs is gorgeous, and the stormy clouds are amazing too. 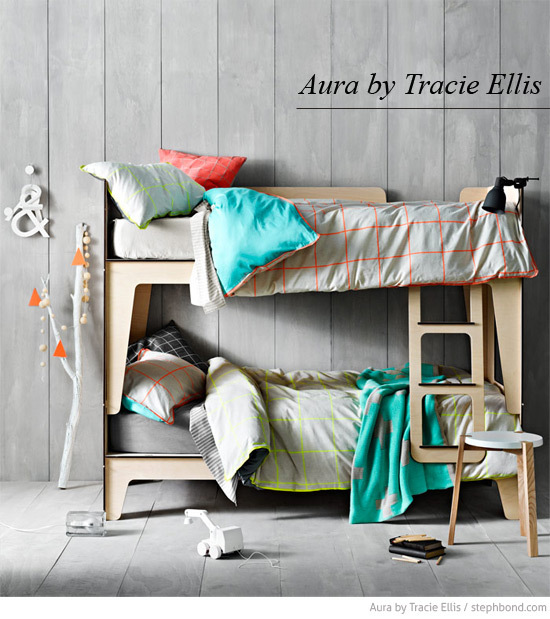 Aura by Tracie Ellis consistently releases great designs each season, and this year's single bed styles are fantastic too. You can't go wrong with any of the designs. 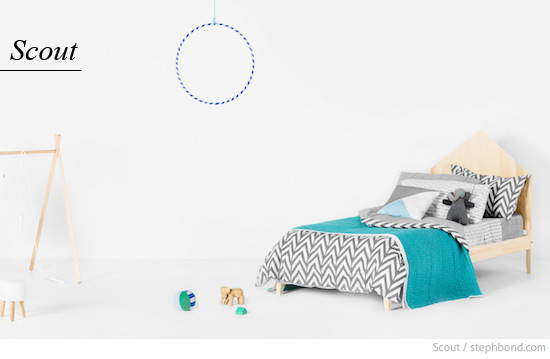 Gorman keeps a couple of single bed designs in their HomeTime capsule collections; always a little quirky and fun. This clouds and raindrops set is lovely. 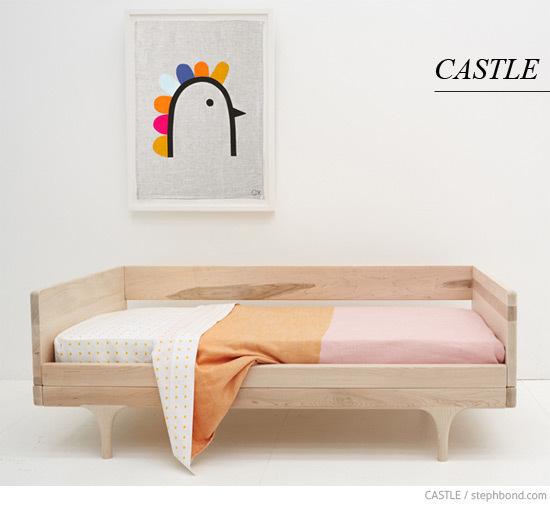 Castle's bed linen, by Rachel Castle is the bomb. I'm proud that one of the world's coolest, hippest brands is based right here in Sydney. I'll have one of everything, thanks. 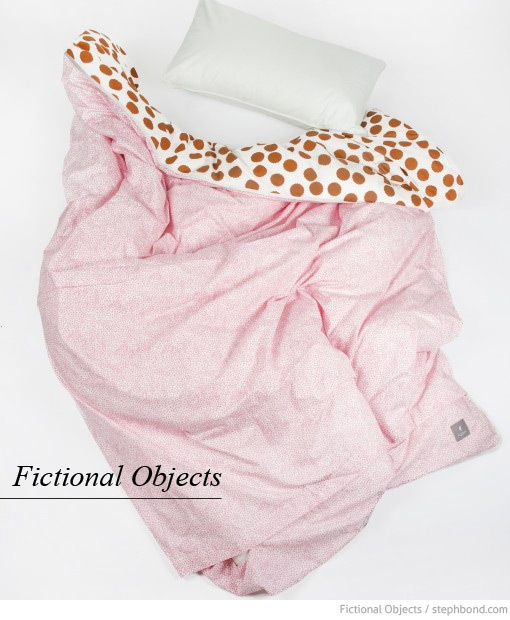 Fictional Objects has an exquisite collection of bed linen that is fashion forward enough to suit the teens as well as the little ones. All prints in the collection are designed to mix-and-match; it's a really well-considered range. 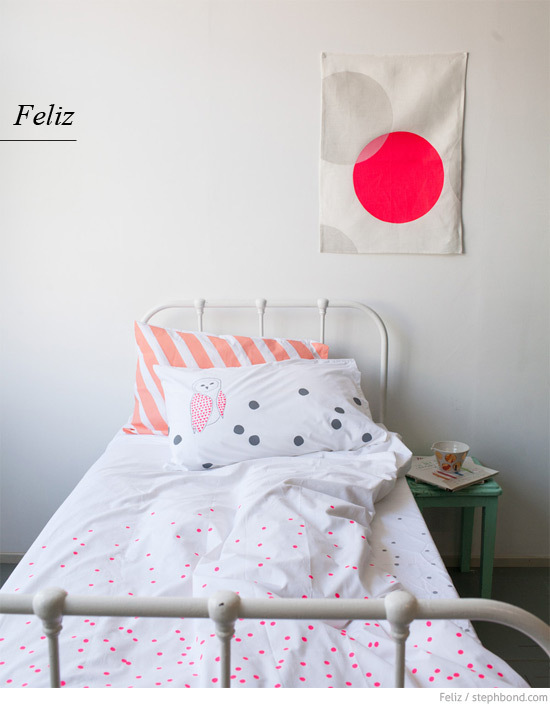 Feliz creates totally on-trend designs on 100% organic cotton. All screenprinted designs are pulled locally in Melbourne (and bed linen and cushions are constructed locally too). Love them to bits. 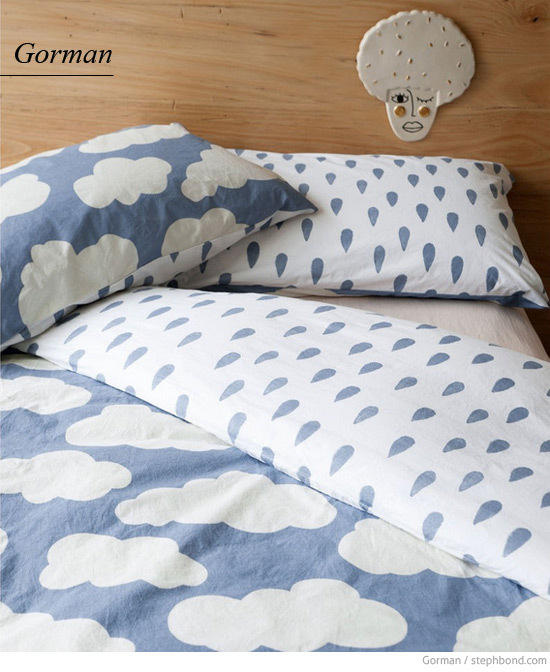 Gather Kids' bed linen is restrained and lovely - printed on gorgeous, quality 100% organic cotton. It's a quiet, nature-inspired palette for softer spaces. 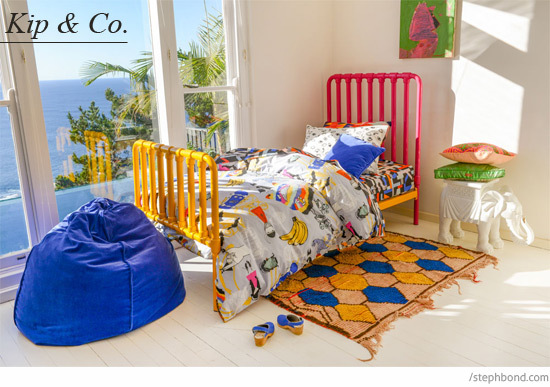 We are so lucky to have so many Australian-designed and many Australian-made bedding products available. Also try Australian labels: Major Minor Sydney, Goosebumps, Southwood, Sunday Morning Designs, Habitat Baby, Haveli, Oobi, and Kate Lauren Designs.